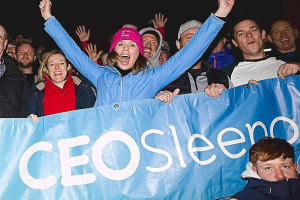 CEOSleepoutUK - Manchester's Business Leaders: defying terrorists and showing leadership. In 2016 I invited Manchester executives to help the city’s homeless. 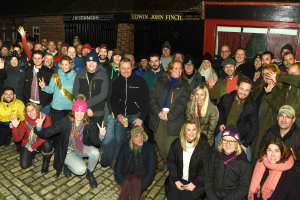 They responded with energy and kindness and made the CEO Sleepout Manchester event we organised a success – raising over £60,000 to help Manchester’s least fortunate citizens. On the back of 2016’s success we’ve planned a follow-up sleepout for October 16th at Lancs County Cricket Club. The business community’s response to that was already great – but things changed a lot after last weeks’ suicide bombing. The city’s business executives are now even more determined to invest their time, money and generosity into the sleepout for the benefit of the most vulnerable Mancunians. I was feeling shocked and angry by last Monday’s sick attack on our way of life. I am still angry about it. But my mood has certainly been boosed by the confident and powerful reaction of business people from Manchester: they’re displaying even more energy and compassion for helping others than they already did! Business leaders from across Manchester are now actively contacting me and asking to enrol in the fundraising sleepout event in October – they seem incredibly motivated and driven to help other less fortunate citizens – in this case those who are homeless or at risk of homelessness. There is something very beautiful in the capacity of true leaders to show their best qualities when others are confronted by adversity or there is a new found sense of danger. I guess adversity and danger are situations where leadership is most needed. Manchester has always inspired in me feelings of fondness and awe. But now I’ve go a new found sense of deep respect for the city and its many business leaders! CEO Sleepout is a new and lean charity with no staff. I run it voluntarily and we incur almost no costs. If you’d like to know more please message me via linked in.